Kuwait- 3 October 2018: To further solidify its position as a dynamic financial powerhouse, Burgan Bank recently concluded The Leadership Challenge® (an evidence-based global leadership development program) with the second and third batch of internal management. Continuing to invest in its employees by providing the latest tools and resources for long term growth, the widely practiced model of leadership development was integrated to advance skills of high potential leaders in line with current market demands. Working in tangent with the newly adopted strategy in the Learning and Development department at Burgan Bank, The Leadership Challenge® that ran for two days followed by on the job coaching was successfully completed by nearly forty participants from middle and senior management level. The model is associated with the central psychometric tool (LPI)which is regarded as the most benchmarked for research purposes and is a global standard for developing leadership talent. Companies and their management are met with complex situations that challenge their thought and decision making process daily. Intrinsically designed models such as The Leadership Challenge® have been devised from the culmination of interviews and case studies. It helps to transform ordinary people into world class performers, raise the professional standard of its staff and shape exceptional business leaders. It was determined that discerning leaders engage in The Five Practices of Exemplary Leadership, which are the foundation of the business model. 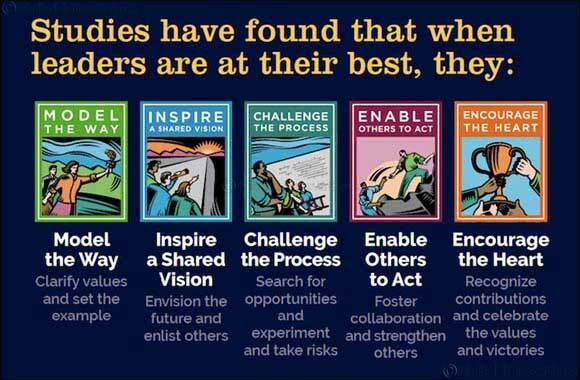 People who effectively demonstrate these leadership practices, regardless of their organizational position or field, make significant contributions. The program starts with ‘Model the Way’ wherein leaders set the example by aligning actions with their affirmed values, followed by ‘Inspire a Shared Vision’ in which leaders enlist others in a common vision by appealing to shared aspirations. Third step involves ‘Challenge the Process’ enabling them to take risks by generating small wins and learning from experience, ‘Enable others to Act’ strengthens others by enhancing self- determination and developing competence and lastly, ‘Encourage the heart’ celebrates values and victories by recognizing individual excellence. Burgan Bank seeks to progress ahead to address changing needs and empower its leaders with ground-breaking solutions in a competitive business ecosystem. To aid this journey, the Bank’s Learning and Development department broadens capabilities and equips the internal culture with leading insights and high impact training sessions to efficiently manage their role as leaders of tomorrow.